5.0.1 To relieve chest and sinus congestion during a cold, try these three essential oils. 5.0.2 Fill a large bowl with water and bring it to a boil. 5.0.3 Add two drops of Eucalyptus oil, two drops of Lavender oil and two drops of Tea tree oil. 5.0.4 Cover bowl and head with a towel and keeping eyes closed, inhale vapors for 3-5 minutes. 6.2 Do You find This Article Helpful? Besides many other health benefits of Eucalyptus, it also being used to treat asthma and emphysema. Due to its ability to expound airways and fight inflammation, eucalyptus is used successfully to treat COPD diseases including emphysema, chronic bronchitis, and refractory (non-reversible) asthma. Eucalyptus Oil benefits don’t stop here – people use eucalyptus for coughs and flu, bronchitis and sinusitis, sore throat and nasal congestion, cuts and wounds, stress and anxiety, muscle and joint pain, used widely in dental care, just to name a few. You probably going to agree with me when I say that COPD is a very serious illness and requires the use of medications and even some medical procedures, but you also can help yourself using natural healers like Eucalyptus Oil. Most likely you already know about the wonderful benefits of this magnificent tree. Yet, there are so many things you may not know. And my job here is to guide you so you can really enjoy all the benefits and uses of these great Australian native species. In a German study published in 2009, Eucalyptus Oil (cineole) was found to benefit patients with the chronic pulmonary obstructive disease (COPD). The study of 242 COPD patients found that Eucalyptus Oil actively controlled airway inflammation decreasing shortness of breath and fatigue. The study was conducted over a 6 month period. The frequency, severity, and duration of worsening symptoms diminished significantly when compared with the group receiving the placebo. Improvement of lung function, reduction in shortness of breath and general quality of life was statistically significant when compared with the placebo group. Leaves are steam distilled to extract the oil, which is a colorless liquid with a strong, sweet, woody scent. It contains 1,8-cineole, also known as eucalyptol. Cineole is the main constituent of eucalyptus oil and mainly used in inflammatory airway diseases as a mucolytic agent. Study show benefits on pulmonary function tests as well as the quality of life in patients with COPD. The results of this study provide good evidence that cineole is great additional therapeutic regimen in patients with COPD. Eucalyptus is used traditionally to promote mucus discharge. According to Michigan University, the early 19th-century Eclectic physicians in the United States (who used herbs as their main medicine) not only employed eucalyptus oil to sterilize instruments and wounds but also recommended a steam inhalation of the oil’s vapor to help treat asthma, bronchitis, whooping cough, and emphysema. It’s a really difficult task to choose high-quality essential oils. With so many companies on the market, which one should you pick? How can you be sure if oil is pure? With all the different brands available, it is a very problematic task. 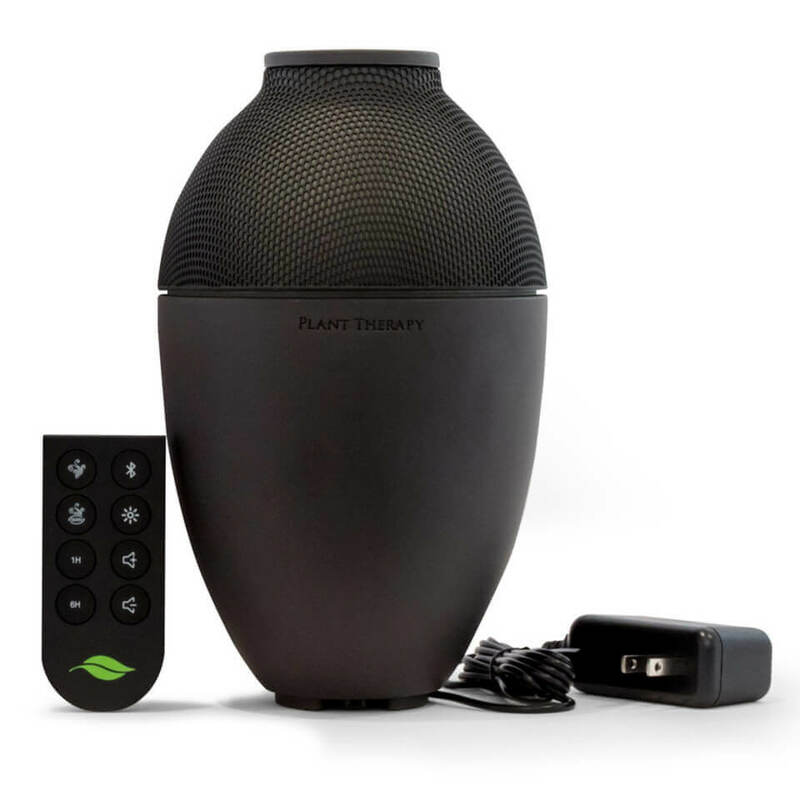 So let me help you by introducing one of the best and most trusted companies – PLANT THERAPY. Plant Therapy is the fastest-growing essential oils company in the nation. Founded in 2011, Plant Therapy producing only high-quality, direct-to-consumer essential oils and aromatherapy products. Aromatic Scent: A very herbaceous scent with soft woody undertones. Originated in Australia, this steam distilled oil comes from the leaves and twigs of the Peppermint Gum Tree. Eucalyptus Dives has a strong herbaceous, woody, minty scent that is stimulating and uplifting. Eucalyptus Dives is a wonderful essential oil with incredible therapeutic properties. Use Eucalyptus Dives to help stop sniffles and clear up congestion. The refreshing properties of Eucalyptus Dives can help treat tired feet in a relaxing foot bath after a long day on your feet. The stimulating aroma can help give you a mental boost when you are lacking the pep you need. The uplifting scent can help revitalize the senses and freshen the space you are in. It is also another favorite essential oil to use in household cleaners to give an extra boost to your cleaning regimen and leaves your house smelling wonderfully fresh. Eucalyptus Dives can help even and tone the skin, especially for those prone to blemishes. Aromatic Scent: A crisp, clean, aroma with a hint of citrus and floral. Country of Origin: Australia, South Africa. Blends Well With Basil Linalool, Cedarwood, Citronella, Frankincense Serrata, Ginger Root, Lavender, Lemon, Spearmint, and Tea Tree. Eucalyptus Oil is widely used in the household as a disinfectant cleaner, thanks to its powerful anti-microbial properties. These properties make eucalyptus ideal for stopping bacteria and for general cleaning. Another great quality of eucalyptus is that it can be used as an insect repellant and may be a good remedy for head lice. A number of small studies have shown that plant oils such as rosemary, citronella, eucalyptus, tea tree, and lemon grass — may work to repel lice. Eucalyptus Oil provides a wonderful aromatherapy experience. Eucalyptus is a powerful treatment against respiratory issues. In addition, it is used as an antiseptic, antispasmodic, decongestant, diuretic and stimulant. It also has cooling properties, which gives it deodorizing characteristics; therefore, it helps fight migraines and fevers. There are more than 800 species of eucalyptus and most are native to Australia. Australia is covered by 227,336,951 acres of eucalypt forest, comprising three-quarters of the area covered by native forest. Eucalypts were first introduced to the rest of the world by Sir Joseph Banks, a botanist on the Cook expedition in 1770. The tallest tree ever measured was an Australian hardwood tree a type of eucalypt (Eucalyptus). In 1872 forester William Ferguson spotted extremely tall mountain ash (Eucalyptus regnans) near the Watts River, Victoria, Australia. The tree was 132.6 m (435 feet) tall. flavoring, fragrance and industrial uses. Eucalyptus oil is highly flammable (ignited trees have been known to explode). Eucalyptus leaves are very fibrous and low in nutrition. To most animals, they are extremely poisonous. The only mammals which can survive on a diet of eucalyptus leaves are koalas, greater glider, and ringtail possums. To relieve chest and sinus congestion during a cold, try these three essential oils. Fill a large bowl with water and bring it to a boil. Add two drops of Eucalyptus oil, two drops of Lavender oil and two drops of Tea tree oil. Cover bowl and head with a towel and keeping eyes closed, inhale vapors for 3-5 minutes. When ingested, Eucalyptus Oil can cause nausea, vomiting, increased heartbeat, muscle weakness, breathing problems, and low blood pressure. These symptoms being reported with ingestion of very small amount of 1 teaspoon. Taking 3.5 mL of undiluted oil can be fatal. Eucalyptus Oil also may cause low blood sugar. It may interact with some medication. People who take prescription medication should consult with a doctor before beginning any eucalyptus treatment. Eucalyptus oil is POSSIBLY UNSAFE when applied directly to the skin without being diluted. Make sure that you dilute it with a carrier oil, whether you are using it topically or ingesting it.